A second Ubuntu GNOME Remix 12.10 alpha version has been made available for download today. The Ubuntu GNOME Remix is a community project lead by Jeremy Bicha which aims to create a pure GNOME 3 desktop experience built with packages from the official Ubuntu repositories. The second alpha ships with GNOME 3.5.91 (GNOME 3.6 beta), with a few older packages like Nautilus 3.4.2 which was downgraded because of the many features removed from the latest 3.5.x versions. Also, GNOME Documents and Boxes are not included in this second alpha release (the Documents package in the Ubuntu repositories depends on LibreOffice and Boxes doesn't work correctly). LibreOffice or Ubuntu One, which are default in Ubuntu, aren't included either. The Classic GNOME session is included as well, but GNOME Shell is used by default if the hardware supports it, and most hardware should be able to run it since the latest GNOME Shell included in Ubuntu GNOME Remix 12.10 supports software rendering. Currently, there are quite a few bugs - for instance, booting from the live image displays an "Undefined video mode" error and you can either wait 30 seconds or press the spacebar to skip. However, some nasty bugs found in alpha 1 have been fixed, for instance: the installer is now readable with the default Adwaita theme, the persisting login screen after logging in has been fixed, etc. Ubuntu GNOME Remix doesn't come with its own branding for now, but there are plans to create a new Ubiquity slideshow, a Plymouth theme and a blue Ubuntu isolinux art (what you see when first booting an Ubuntu image). 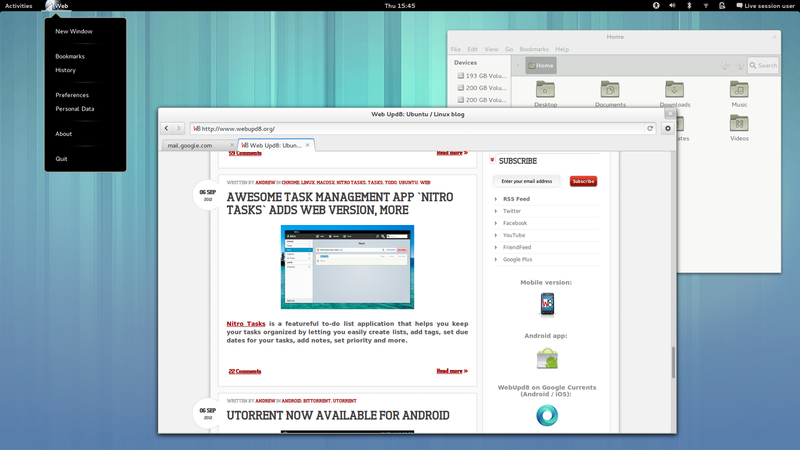 Hopefully, these will be included with the Ubuntu GNOME Remix beta, scheduled for September 27. And if you find bugs, don't forget to report them!